Une machine à apprendre à jouer au morpion faite de 304 boites d’allumettes. MENACE is a learning machine made out of 304 matchboxes, which plays noughts and crosses – and, over time, actually learns to play it better. 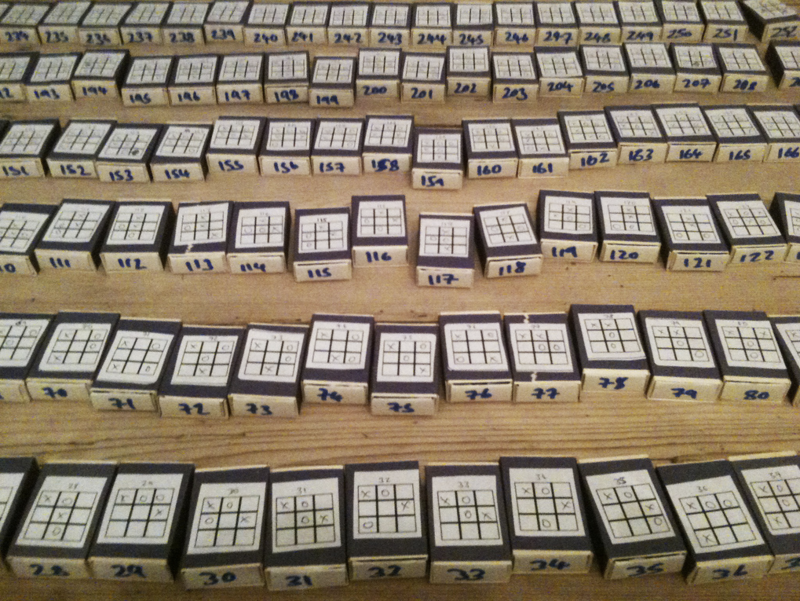 Constructed for a lecture at Playful 2009, it is an instantiation of a thought experiment by AI pioneer Donal Michie, the Matchbox Educable Noughts And Crosses Engine.